This menu covers Preferences and closing AIDA64. Please scroll down to read explanation of each menu item. This menu item launches the Preferences module. 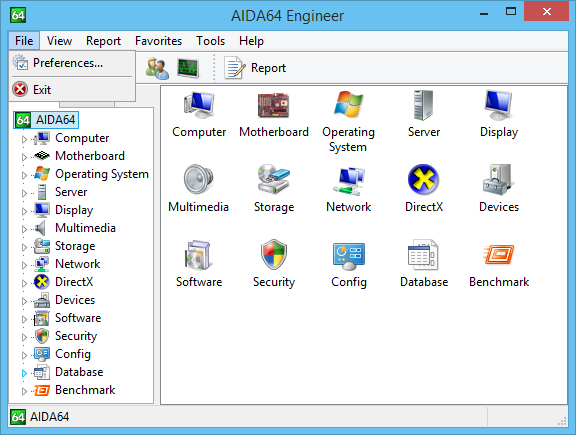 Preferences can be used to customize features, behavior and layout of AIDA64. This menu item can be used to close AIDA64 and return to Windows.